PIN - SARAH COVENTRY. "EMPRESS" FROM 1956. 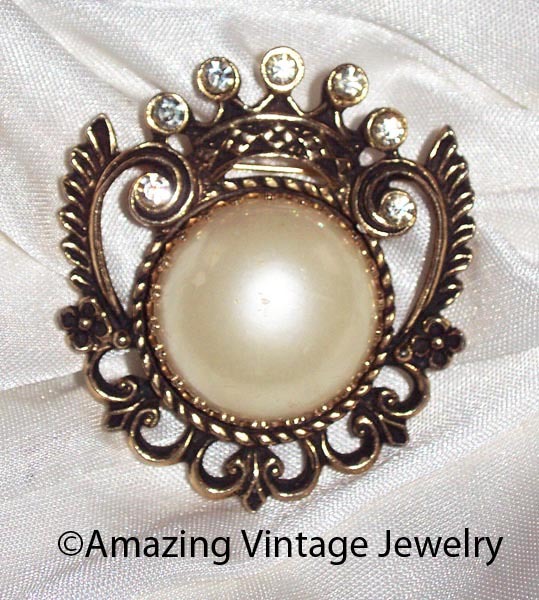 A LOVELY AND REGAL STATEMENT IN A BAROQUE-LOOK SHIELD WITH A LARGE CENTER FAUX PEARL AND 5 CLEAR RHINESTONES ON TOP. 1 15/16" LONG, 1 11/16" ACROSS. VERY GOOD VINTAGE CONDITION. NOT MARKED. 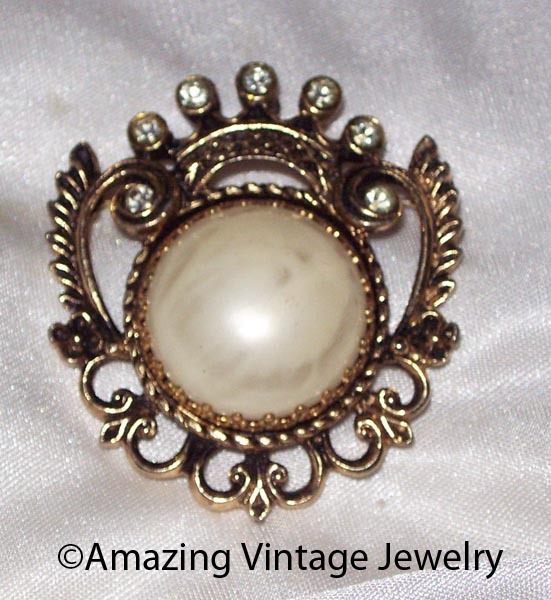 I HAVE 1 OF THESE LEFT - THE ONE IN THE SECOND PHOTO - IT HAS A MOTTLED LOOK TO THE FAUX PEARLESCENCE.